The ARB resources cover three curriculum areas, a range of topics and levels, and can be used in many ways to support teaching and learning. When planning for learning, there are three broad fields that you might start from: a topic or context, the curriculum, or your students' strengths and needs. 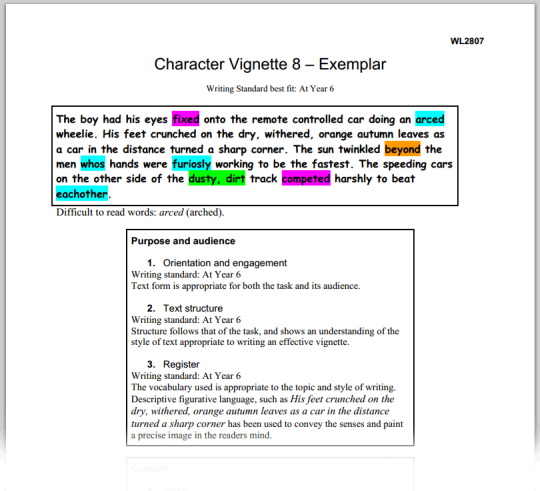 This planning example focuses on the learning area of English. It complements Case Study 2 described in Teaching Writing across the Curriculum in Years 4-6 (see Writing Hub on Literacy Online). In Case Study 2, Simon, the teacher of a year 5 class, started his planning of work on descriptive writing from an analysis of his students' needs. In the following example, we show how you might plan a similar unit of work from the starting point of the curriculum, using ARB resources to support the learning and teaching. Starting from the curriculum allows schools, syndicates or departments to plan broad classroom programmes, which teachers can adapt and modify according to student need within their class. In this example the starting point is English: creating meaning: writing. The "big idea" that the teacher wants to explore with his class is how writers make deliberate language choices to convey meaning to their readers. In particular, he wants to focus on the writing purpose 'to describe', and the ways in which description and detail can be used to create and refine meaning in a wide range of text types. 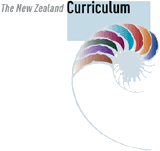 What do the curriculum documents say about what is expected of students in terms of their descriptive writing? What do I need to know about descriptive writing in order to help students develop these skills? What do I understand about the writing purpose 'to describe' in different contexts across the curriculum? The following documents provide teachers with a broad outline of expectations for Year 5 students. Students will independently write texts, choosing language appropriate for their audience and purpose. These texts will include, when appropriate: Content that is usually relevant to the curriculum task and includes detail and/or comment supporting the main points. Selecting vocabulary that is appropriate to the topic, register, and purpose (e.g., academic and subject-specific vocabulary appropriate for specific learning areas or precise and descriptive words to create a mental image). The ARB website has a range of general and curriculum-related teacher resources, called Research and articles. Find them in the information blocks under the search field on the ARB home page. Selecting English will give you a range of pages to help with pedagogical content knowledge for writing. This material can help teachers plan for cross-curricular writing. See links below. Different text types use different text features, according to their purpose. Writers construct meaning through the features they choose to use and the way they arrange those features. This material details the features of narratives and science reports, and includes useful information about the use of description in these text types. Here you can find criteria for assessing writing. The sections on 'Ideas' and 'Vocabulary' are particularly relevant to descriptive writing. This resource concentrates on sentence structure and linking words, between and within sentences. The section 'Adding information to a sentence' provides helpful information for a focus on precise description. This material is particularly related to the language of science, and explains the features common in scientific texts. It will be useful when considering the features of descriptive writing in a scientific context. You could also use a similar format to classify features common in, for example, social science texts. The resources linked to e-asTTle writing are another source of information to help build pedagogical content knowledge. For example, more information about the features of text types (called writing purposes in the e-asTTle tool) can be found in the the Structure and Language Notes [TKI] associated with the e-asTTle writing marking rubric. The ARB website also has material related to National Standards. These are located in the Knowing about assessment information block under the search field on the ARB homepage. The Writing link will take you to a selection of up-to-date writing resources linked to the Literacy Learning Progressions and the National Standards. New resources are added as they become available. What texts will provide appropriate models for descriptive writing? 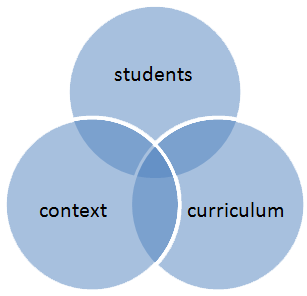 Can I find a range of text types appropriate to learning areas across the curriculum? The following Level 3 and 4 ARB resources from the 'Making Meaning: Reading' bank provide models of descriptive writing in a variety of contexts. You could use them to help students explore the ways in which writers use language to create effective descriptions. WL3050 Kokeshi Dolls (Level 3) involves making comparisons between the way in which descriptive language is used in two text types: a poem and an article. WL2653 Moa and WL2654 Variable Oystercatchers (Level 4). These look at the features of science texts, including the way in which language is used to describe. WL3083 How to Make a Plaster Mask (Level 3) could be used to explore how to write clear, descriptive instructions. WL3119 Interpreting Poems and WL3123 Making Comparisons II (Level 4) could be used to develop and check understanding of figurative language used to create poetic descriptions. WL3140 Adverbs and WL3149 Adjectives (Level 3) could be used to explore how precise words can build help to create vivid images. What do students already know about adding detail to writing? What do I need to teach so that my students can use more precise detail and description in their writing? What resource might I use to check students' progress? The Assessment Resource Bank has a number of items to support formative assessment of descriptive writing. You can find these items by entering 'describe' as a Free-text search . Sort the results by 'Mode', so that the writing results appear together. Although the tasks are sometimes marked for a specific curriculum level, they can easily be adapted for use at other levels. Some tasks ask students to write for a combination of purposes, as in real life. These resources require students to write a short piece of descriptive writing, using a visual image as a starting point. Each resource has comprehensive teachers' notes, including a description of the features of a vignette, diagnostic and formative information, and an annotated example of student writing. While the tasks each have a designated curriculum level, they can easily be adapted for use at other levels. In this resource, students identify and describe a local place they like to visit. The resource encourages students to write in detail to describe this place. Teachers can create an assessment guide to scaffold the writing for the students, and to be used for student self and peer assessment. This resource is connected with science resource Throwing balloons 2 (PW2548). This curriculum level 2 task, connecting the English and Science Resource Banks, asks students to write first a description and then an explanation based on a science investigation. Students are guided to write a precise description of what the balloon looks like and feels like, and to describe the way it moves. The Teacher's Notes include directions for guiding the students through the task, diagnostic and formative information, and six annotated exemplars of student work. These exemplars provide helpful information on what to look for when providing feedback to students about their writing.